Based on the award-winning model based design and BIM authoring software, ARCHICAD Teamwork, ARCHICAD Solo is aimed at individual practitioners and micro design studios. The latest version ARCHICAD 22 Solo scheduled to be released on 6 August 2018 provides powerful advantages over 2D CAD solutions – operating on a building focused, 3D model-based design workflow. 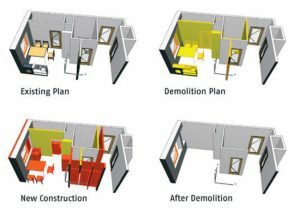 “ARCHICAD 22 Solo delivers cutting edge technology. 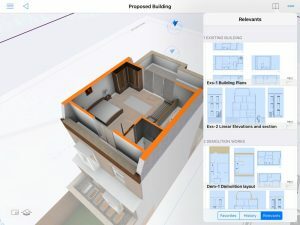 The intuitive and responsive set of tools building designers need are all there and easy to use” said Scott Berry, Managing Director, Applecore Designs. A full 64-bit application on Mac and PC platforms with multi-processor support for optimum performance ARCHICAD’s background processing, optimised scaling of multiple-core CPUs, and an improved central graphics unit results in optimised performance and navigation. 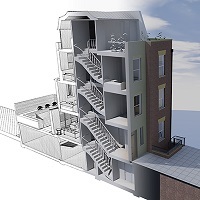 ArchiCAD 22 Solo includes all the modelling capabilities of Teamwork such as Morph, Shell, multiplane roof, complex profiles as well sketch rendering, publisher, 3D documents/cutaways and the renovation workflow. The omission of high-end rendering could be easily rectified with the purchase of the Abvent’s Artlantis, which costs from £395.00 + VAT and integrates well with ARCHICAD. However, more and more users are utilising the built in model sharing capability called BIM Explorer (BIMx), which allows for the distribution of models to mobile devices for high end presentations to clients via the free BIMx .app. To take advantage of the entire range of ARCHICAD features and benefits, you can upgrade at any time to the full Teamwork version with all money paid for Solo discounted off the full copy of Teamwork. Packages for Solo start from £1,885.00 + VAT or £89.00 + VAT per month which includes a perpetual soft licence, energy evaluation, a range of 2D detailing objects (roof tiles, brick and block, etc), a localised template and a minimum of 12 months service agreement for upgrades and support. Bundles with recommended training, PC or Mac workstations and the MEP add-on are also available.